Accepta 7101 is a high performance, environmentally friendly biological treatment scientifically formulated for the on-going maintenance and reactivation of septic tanks and cesspools. 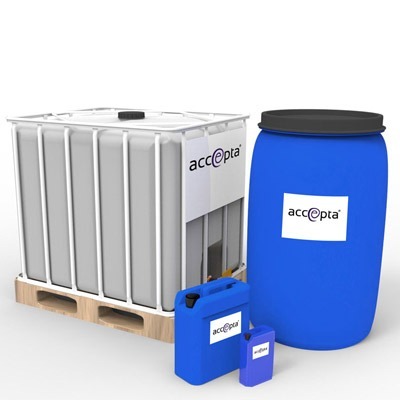 The next generation in septic tank products, Accepta 7101 is an innovative, eco-friendly biological and enzyme treatment, developed specifically to improve and maintain the effective operation of septic tank systems and cesspool installations. Composed of a well-balanced combination of enzymes and bacteria, Accepta 7101 is the efficient, complete solution to all the common septic tank / cesspool problems by biologically reactivating and maintaining the septic tank. 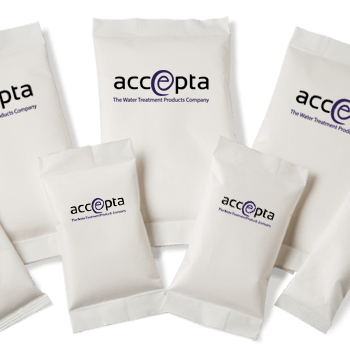 Accepta 7101 offers superior results in the degradation of faecal material, cellulose, paper, and all proteinic and organic waste, while suppressing obnoxious smells. In addition to these excellent performance benefits, Accepta 7101 reactivates and maintains the microbial flora, which are usually destroyed by the discharge of chemical household products, acids, bactericides and detergents. The efficient use of Accepta 7101 is dependent on the microbes being correctly activated before being applied. This can be achieved by adding a 60g sachet to the toilet pan and allowing to stand for 45-60 minutes before flushing to the drain, which feeds directly into the septic tank. Alternatively, dilute the sachet in lukewarm water (max. 35°C), stir and then pour the solution either into the toilet and flush, or directly into the septic tank. This is repeated every day for one full week, followed by one 60g per week for a further three weeks. Administer one 60g sachet of Accepta 7101 into the septic tank every 2 weeks. If a large volume of wastewater is being discharged, the dosing of Accepta 7101 should to be increased. Maintenance treatment with regular doses is highly recommended. The method of application is the same as for bacteriological reactivation. Dosing should be scheduled when the flow through the system is at a minimum, thus leaving sufficient time for the product to react during the night. For further technical assistance concerning Accepta 7101 please contact Accepta.